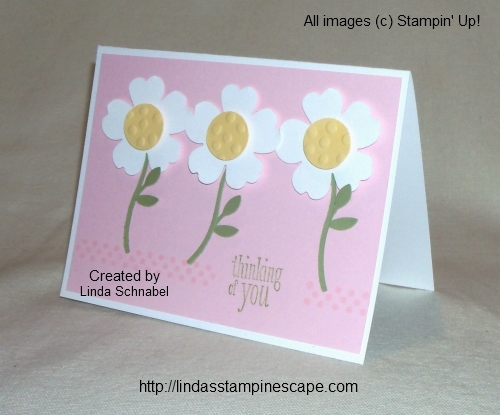 Today’s card share was created to inspire “spring” to begin! I think most of our 50 states are ready, the East coast has been hit exceptionally hard this year. For those of you in Arizona who are basking in the warm sunshine … we are jealous. Enough with the weather report … and onto the card. I made this mainly out of punches, except for a little greeting and stamping a bit of an accent. I wanted the flowers to be the focal point. The flowers were punched with our “Pansy” punch. I embossed the yellow using the “Decorative Dots” embossing folder (FREE Sale-a-bration item) and then punched them with the 3/4″ Circle Punch. It adds some fun dimension to the flowers. The stem was punched from the “Bird Builder” punch … some leaves were trimmed off, and then added onto the stem to complete the look. It’s best to do this type of work directly on the “Silicone Craft Sheet” … I always use that when I am using my Snail adhesive on a punched images so small. Keeps the adhesive off your work area (No more sticky mess). I used the dot strip from the “Perfect Pennants” stamp set (also comes in a bundle with the Banner framelits) and the greeting comes from a new stamp set, Peaceful Petals. Can you guess what colors I used to create this card? Let’s see how many correct guesses we can get. The items listed here will give you enough in sales to qualify for a FREESale-a-Bration item! Clicking on the item number will link you to my on-line store. Thank YOU! Welcome to a brand new week. We have officially entered the summer season so what better to celebrate than a parade! 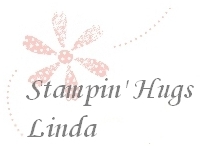 This week I will be posting a “parade” of new stamp sets that I will be featuring at my upcoming Hostess / Customer Appreciation Party! Each day will feature a new stamp set … keep a list as I will be hosting a “Guess my favorite new stamp set” challenge at the party. If you are interested in attending … leave a comment or message me! 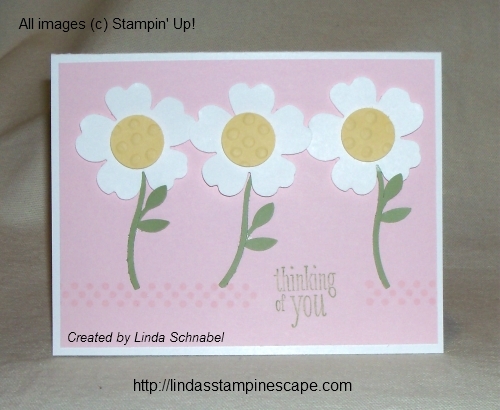 Along with the Flower Shop stamp set, I used the new “Million & One” stamp set – stamped in Old Olive. I love the font on this set, it is so beautiful. The flower was stamped using VersaMark and heat embossed with the Tangerine Tango Embossing Powder. It is slightly darker than the Pumpkin Pie Polka Dot Parade Designer Series paper I used, but still looks good. And if you’re going to give someone a card that says “A Million & One Thanks” … don’t you agree, it needs some bling! I not only used the Rhinestones, but added a little more sparkle to the flower by using Crystal Effects and Dazzling Diamonds Glitter! Click on the link above to shop for any of these items. and don’t forget to stop back each day to see the new “featured” stamp sets.